Reeva Steenkamp and Oscar Pistorius at an event. 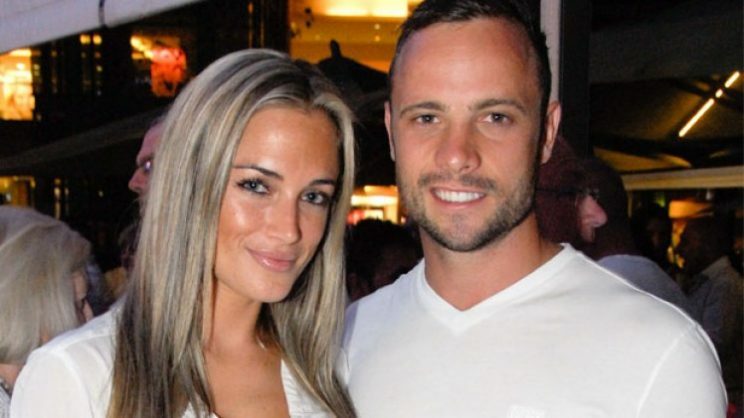 The Steenkamp family has adopted new ‘tradition’ to mark anniversary of Reeva’s death. Yesterday, Wednesday, 14 February marked the fifth anniversary of the killing of model Reeva Steenkamp. Steenkamp was shot and killed on 14 February 2013 at Silver Lakes, east of Pretoria, home of her then-boyfriend Oscar Pistorius. Pretoria East Rekord spoke to Reeva’s mother, June Steenkamp, to find out how she felt five years after losing her daughter. She said the family had adopted an annual tradition to mark the day of her daughter’s killing. “We’ve just come back from the beach,” she said. Steenkamp’s ashes were scattered along the beach in her hometown of Port Elizabeth. The Supreme Court of Appeal recently increased Pistorius’ six-year jail term to 13 years. However, Pistorius has filed papers at the constitutional court to appeal the increased prison term. Spare a thought for family of Reeva Steenkamp today, 5 years since their daughter was shot dead by Oscar Pistorius. -while at it, think about all those women- killed, injured or living in fear.